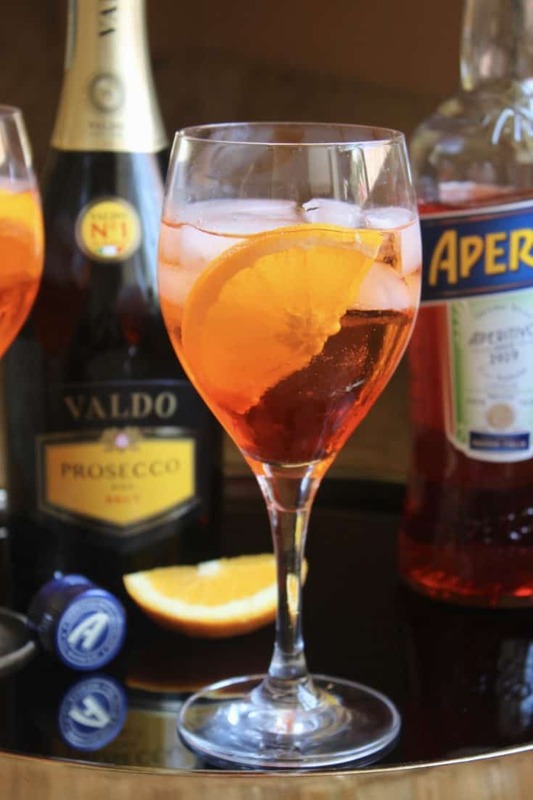 Want to make an Aperol Spritz? 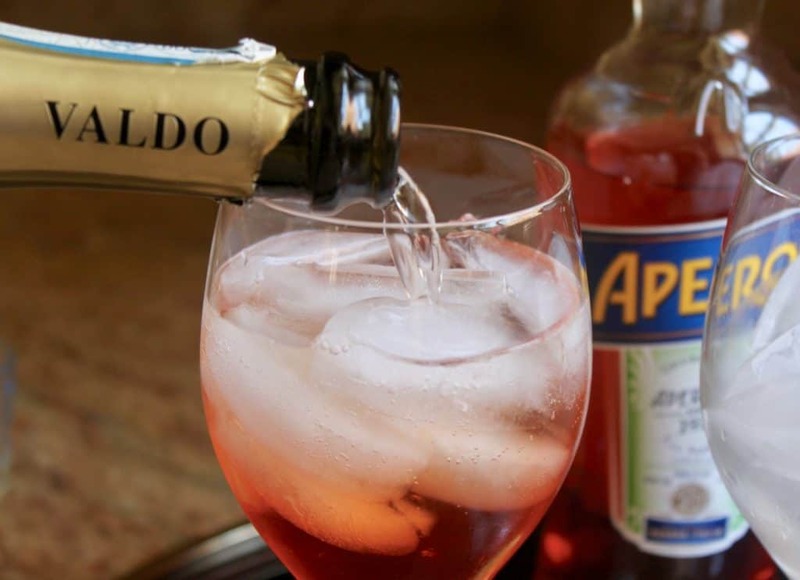 If you’re reading this, there’s a good chance you’ve never tried an Aperol Spritz. 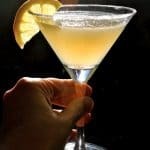 Read on to learn all about this trendy Italian cocktail that’s incredibly popular across Europe. 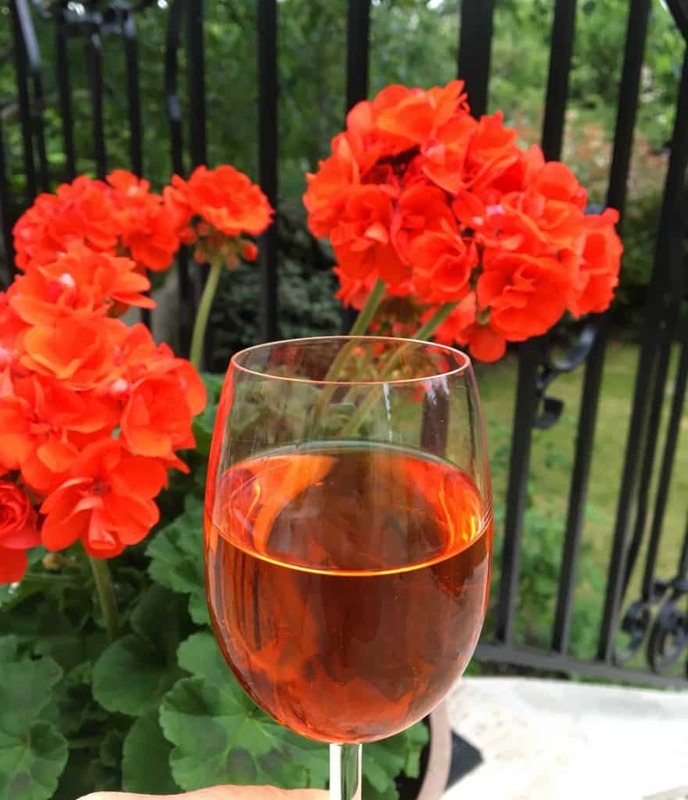 It was at my friend Jill’s (Mad About Macarons) house in France where I tried my first Aperol Spritz a few years ago. In fact, here’s the evidence. I was immediately smitten with this cocktail. What is it about this almost fluorescent, orange colored drink that is so appealing? I’m not usually one to be taken by brightly colored food and drink, but this one got me. I’m not the only one. Last year, my daughter was traveling around Europe for spring break. 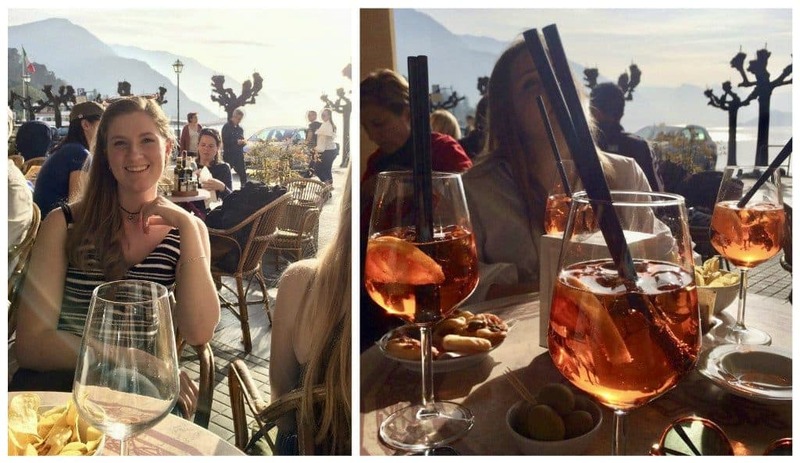 We had no idea she had gone to Lake Como until we spotted her on Instagram with a few Aperol Spritzes in front of her! So why is it that some things take off like a house on fire one place, and there are “crickets”, somewhere else? Culture? Availability? Advertising? Who knows, but I did my part to keep Aperol in business on my trip to Italy and Switzerland last month! By the way, in Italy, they pronounce it “spreetz”! So cute! I will call your attention to the center photo on the top row, because this Aperol Spritz is frozen! Talk about refreshing! 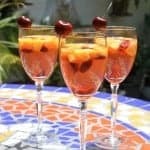 I’d love to learn how to make an Aperol Spritz in frozen form, so I’ll have to experiment. Last month, I met up with my pal, Janice from Farmersgirl Kitchen. She was visiting Venice from Scotland at the same time that I was there. 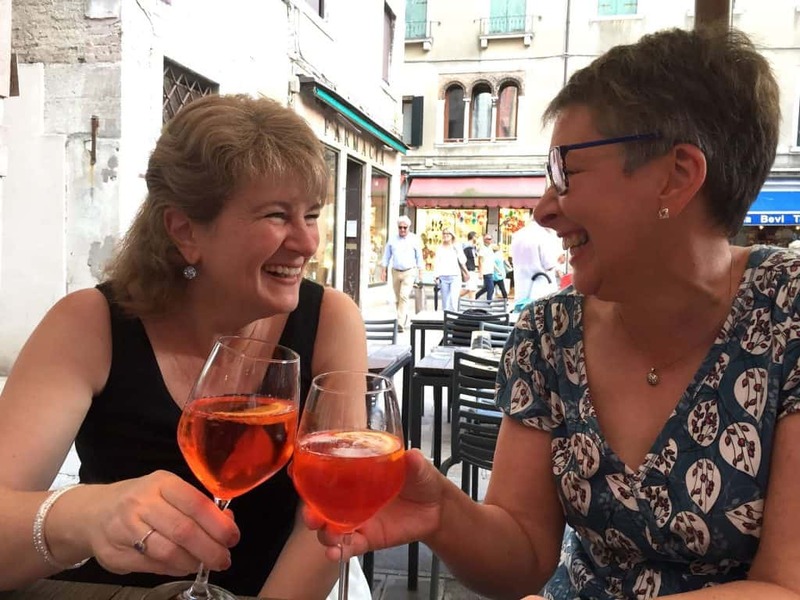 I was surprised to learn that she’d never had an Aperol Spritz! We fixed that in a jiffy! 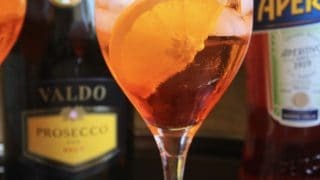 What is Aperol Liqueur Made From? 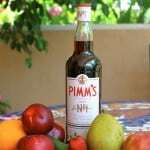 I wondered what the liqueur was made from and was surprised to discover that one of the main ingredients is rhubarb! No wonder I love it! Bitter and sweet oranges, along with other herbs comprise the primary flavors. Fill a glass with ice. Add the prosecco, followed by the Aperol, and splash of soda water. Finally, add a slice of orange and serve. 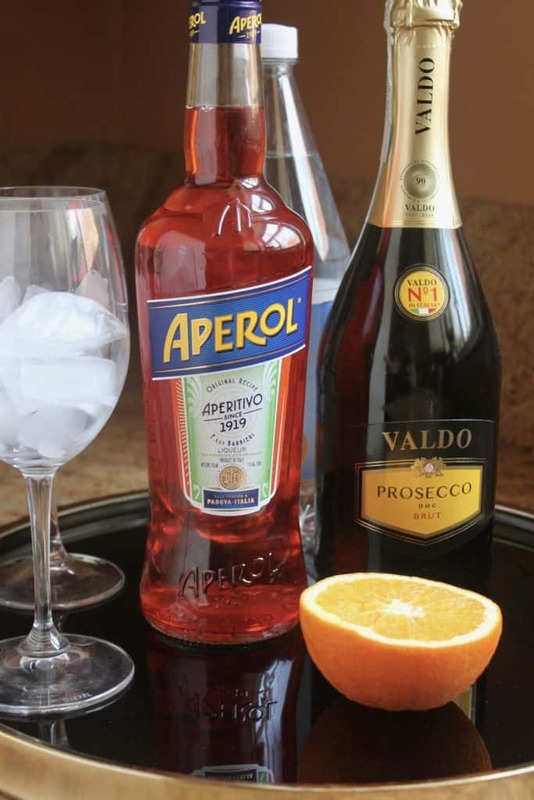 Note: I noticed that Aperol’s website has a different “recipe” for a spritz: equal parts of prosecco and Aperol. 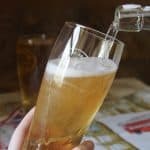 They’re not silly–use more Aperol and they’ll be happier! However, I’m sticking with the original 3-2-1 recipe. 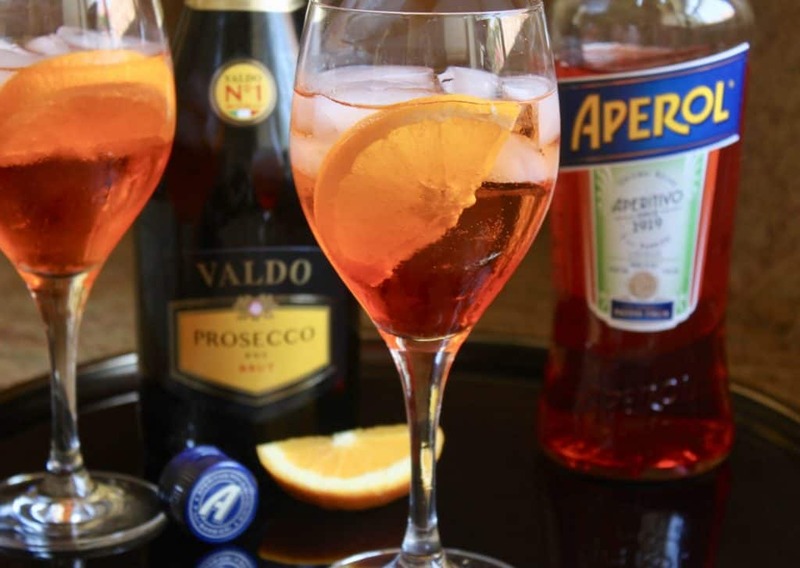 Are you already an Aperol Spritz fan? Have you never tried one? If so, have I convinced you make an Aperol Spritz? Let me know in the comments below! 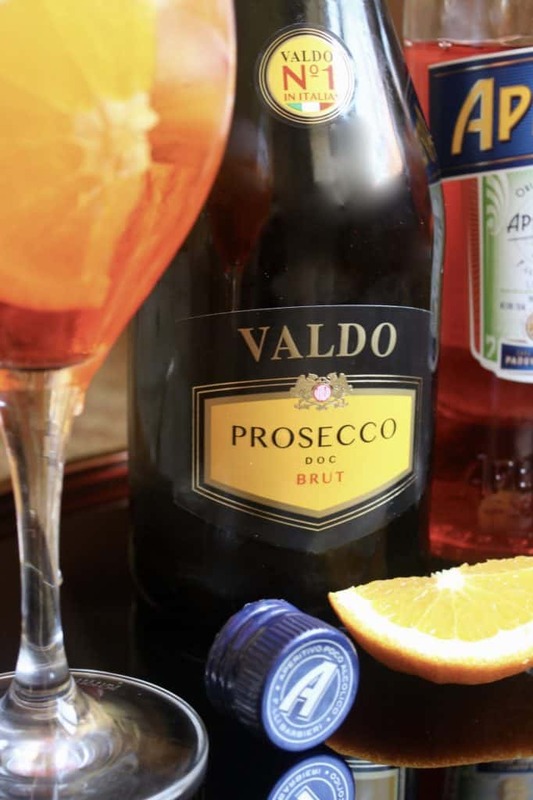 A classic Italian cocktail made with prosecco. Fill a glass with ice. Add the prosecco, followed by the Aperol and splash of soda water. Finally, add a slice of orange and serve. 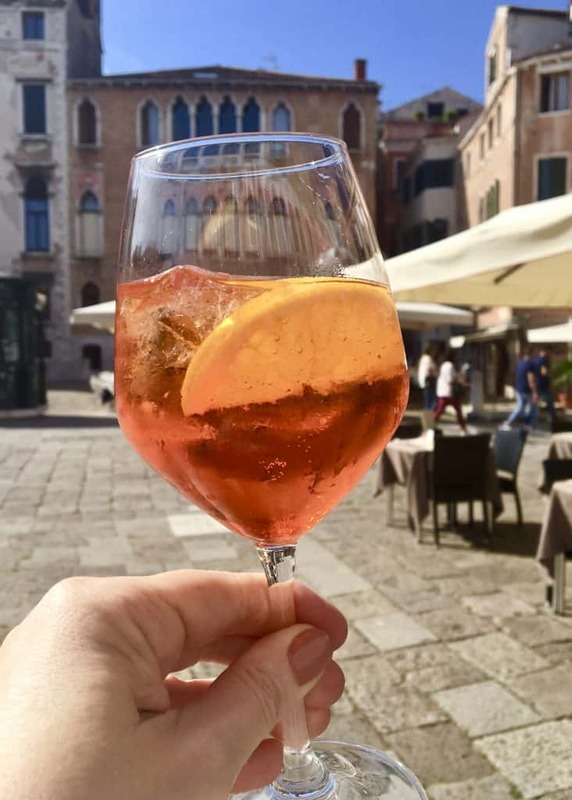 I am a Native Italian, just came back from Italy after a 10 year absence and ..yes.. Aperol spritzer everywhere ..I remember my father drinking Campari..you can use either Aperol or Campari….Love it..we make them now as a treat and pretend we are still at the PIAZZA! Auguri! Now I m going to watch o all your Scottish recipes….really love Scottish food!!! I love that there is Rhubarb in Aperol! Count me in for this ambitiously bright colored drink! That sounds interesting. I love rhubarb so would definitely like to try this. Thanks for your recipe. I don’t know much about mixing cocktails, but anything with champagne, prosecco and vodka appeals to me. The Aperol sounds so interesting – I love rhubarb too. So yes, pour me a glass. Or two! We drink them all the time and i was taught to make them in Venice. I have never measured. And probably never will. We were taught Aperol and Prosecco, with an orange slice. And to base it on color, not measurement. But if someone measures and adds a splash of Pellegrino? You can be sure I won’t say no! My daughter lived in London for quite a few years, and I think that’s where she first discovered them. I bought some when she came to visit, but personally wasn’t bowled over by it. I have a limit on anything botanical, like St Germain. However at another time I did mix Aperol with orange juice and prosecco, for a brunch, and that was much better to me. How do you know so many bloggers?!! Of course, everyone’s got different taste buds, but I could see how the orange juice added in would be really good too! I wouldn’t turn my nose up to that, either! 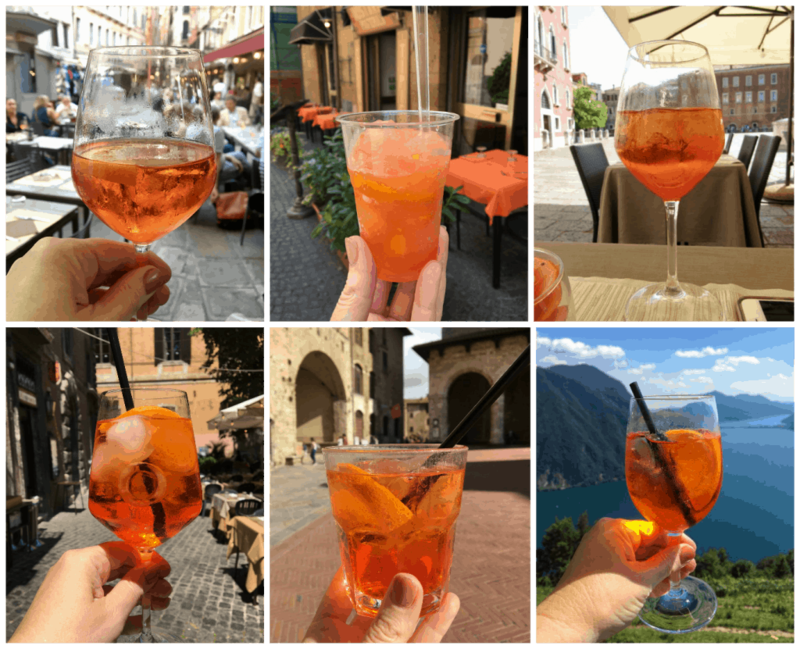 I absolutely love aperol sprtiz but I only seem to drink them when I am in Italy, something I definitely need to remedy! Thanks for the recipe. I am glad to learn the ratio of a “spreetz”. I’ve been drinking them all summer. So refreshing and light in alcohol. I love the look of this drink…soo pretty. Yet a bit like Compari..bitter. I wonder if Americans will ever get it? Disclosure..I used to do artwork for Compari and never got that either.